If you have been injured in a motor vehicle accident, only two things can prevent the insurance company from doing exactly what it wants to do: an effective trial lawyer and a jury. 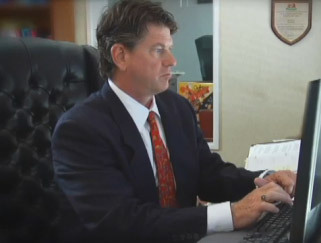 Attorney Randall D. Moore is a peer-recognized trial lawyer in Texas. He is board certified in personal injury trial law by the Texas Board of Legal Specialization and in civil trial law by the National Board of Trial Advocacy. 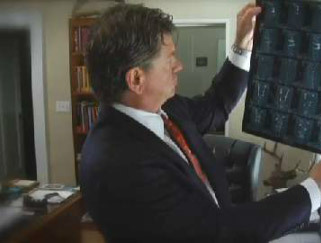 He represents motor vehicle accident victims throughout the Fort Worth Metroplex and all of North Texas. Car crashes : People who try to handle their own personal injury claims often do things that damage their cases such as giving a recorded statement to an insurance adjuster or signing a release. Motorcycle accidents : Motorcycle accidents cause devastating injuries that can affect you for years after the accident. Truck accidents : When you are injured in a truck accident, it’s important to collect and preserve evidence such as driver logbooks and GPS records before that evidence disappears. Commercial vehicle accidents : Commercial drivers are subject to many regulations that do not apply to passenger vehicles. When a commercial driver cuts corners, and you are injured as a result, his or her employer can be liable. Drunk driver accidents : Drunk drivers cause serious injuries and deaths every day in North Texas. We hold those drivers and their insurance companies accountable. Rear-end collisions : A rear-end collision can result in significant injury even when there is little property damage. Uninsured and underinsured motorists : If you were injured by a driver who was uninsured or underinsured, this coverage can help you obtain the compensation you need. However, it is not as simple as merely making a claim on your UIM carrier. Fatal car accidents : We help family members who are devastated by the loss of a loved one in an accident. With more than a quarter century of experience, Attorney Moore is able to recognize the short and long-term consequences of injuries suffered in such accidents, and maximize recovery of the associated damages. To discuss your case with Dallas-area motor vehicle accident attorney Randall D. Moore, please call 817-697-2116 or send us an email. There is no charge for your initial consultation. Se habla español.